Have been doing some research and messing with the Akitio node for my MacBook, I was finally able to boot into windows with my eGPU. My success rate currently is at a 90% chance of success. Thanks to @jumpingsalad for his help and his implementation of windows with his Aorus gaming box, I was able to get this working. 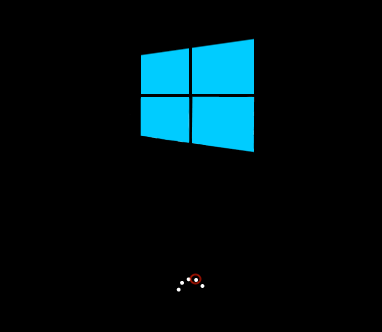 After loading in the driver, you will need to hot plug into windows. Restart windows after downloading all the drivers. Plug in your Thunder bolt 2 cable once the windows logo comes up with the Akitio node turned on. (keep in mind at this stage you will be on your internal display as there isn't any Nvidia driver installed yet) Once windows finish loading go into device manager -> display adapter. You should now see your IGPU and "basic display adapter". 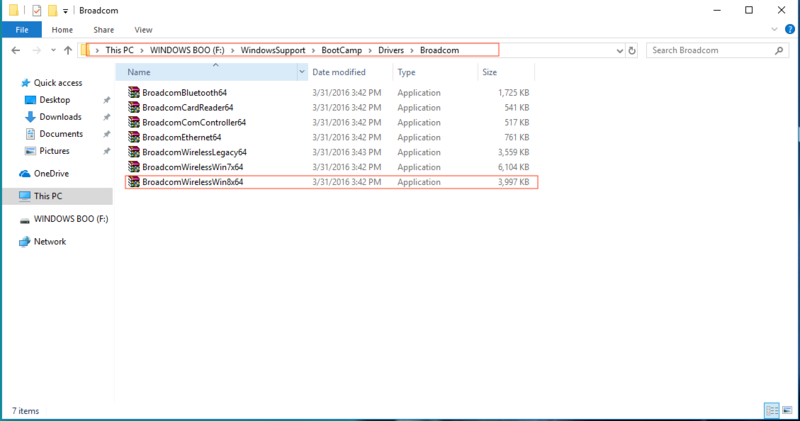 Right click "basic display adapter and click scan for driver, then hit search online. Once Nvidia drivers have been install, shut off computer. Heres a video of how I did it. Keep in mind I had my computer set up where it boots straight into windows but you can always just hold option and wait to select windows. 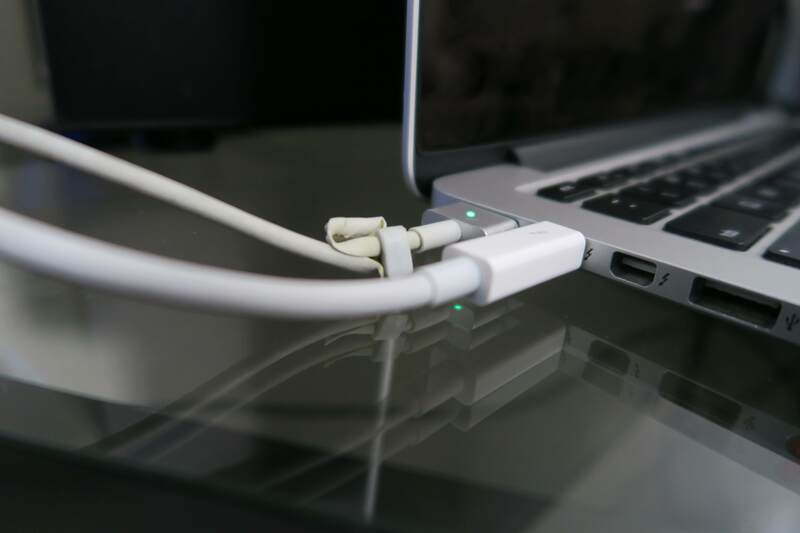 In the video if you have noticed, I leave the thunderbolt cable right on the port, as this will make sure I plug in at the proper time. Edit: I have also tested this out on a GTX 1050, and it works the same. Edit 2: I recently switched to a GTX 970, seems to work fine. only issue with the driver is the mouse pad not being able to right click or scroll with 2 finger. 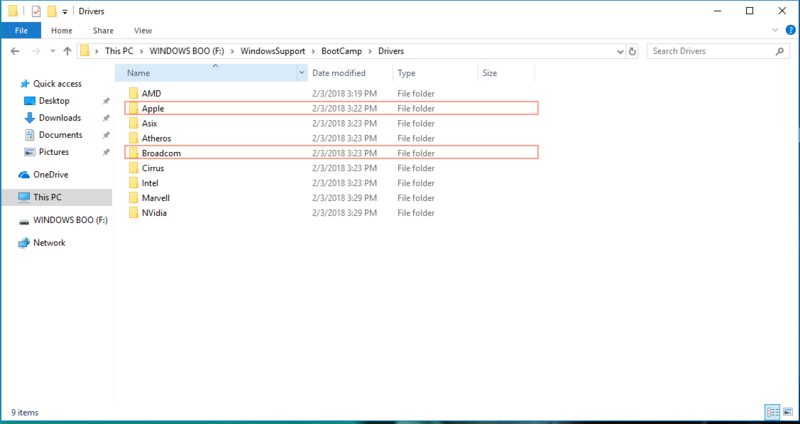 I figure out the problem, as the features for those commands can only be access once you download bootcamp manager, which I have yet to locate on the driver folder unless I install the whole thing. 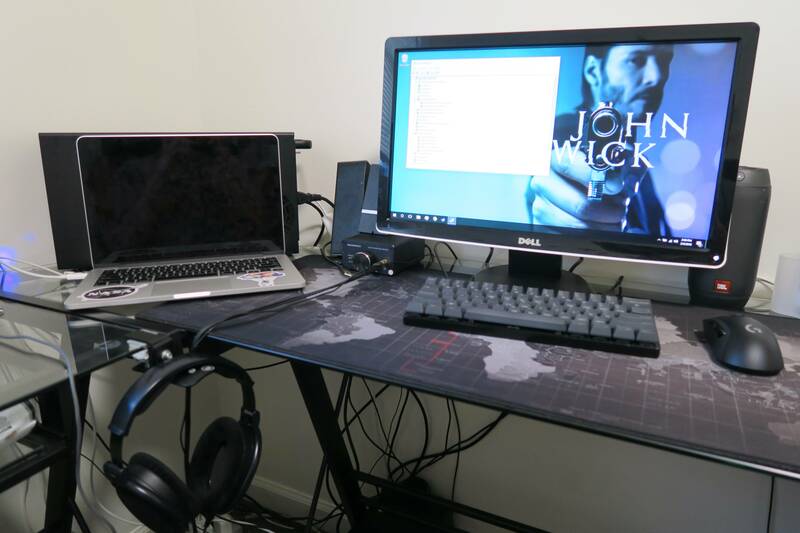 Edit 3: I have now a fully set up eGPU running off an external ssd which holds my windows partition and is running off the SSD with my AKITIO node, if you have any questions on how to get that set up, feel free to message me. As you know 128gb harddrive is very limiting when trying to run an eGPU set up with bootcamp. Feel free to message me if you guys have any question or need any help. I also have done my egpu! When you plug to the other side, another tb2 port just doesn't work. OT, is that a hd6xx/600/650? Thanks! and its a hd6xx. I'm going to be trying this tonight. Is it still working for you? 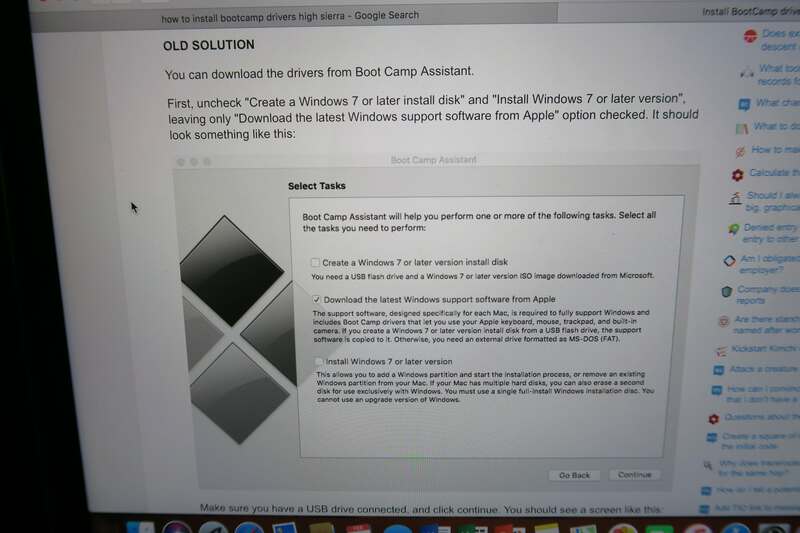 I was trying over the weekend but I'm running into issues installing windows 10 via Bootcamp Assistant. I'm hoping it is just this known issue with Time Machine. I'll post my specs and success/failures on here. 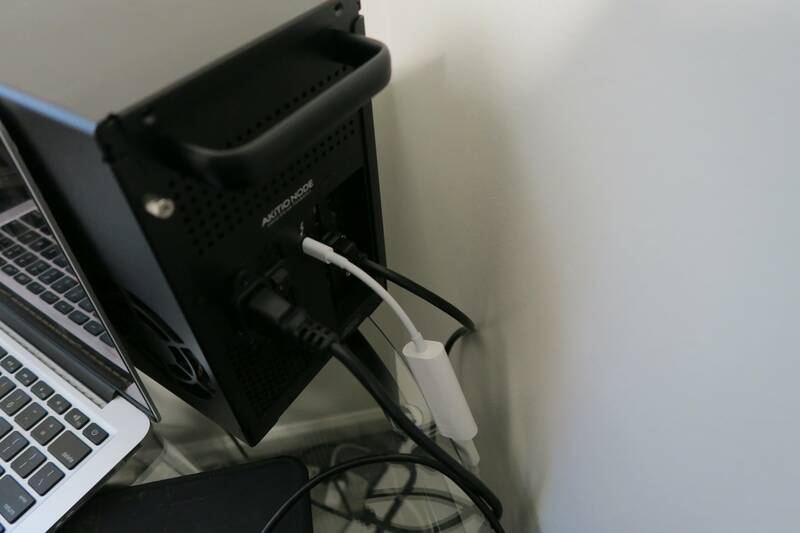 Question: I'm using an Akitio Node Pro, it has two on-board Display Port jacks - it doesn't look like the regular Akitio Node has those? So is that just an HDMI cable running from your actual GPU to the display? HDMI to HDMI? I'm curious if I need to be doing this similarly or if I can use the Display Ports. 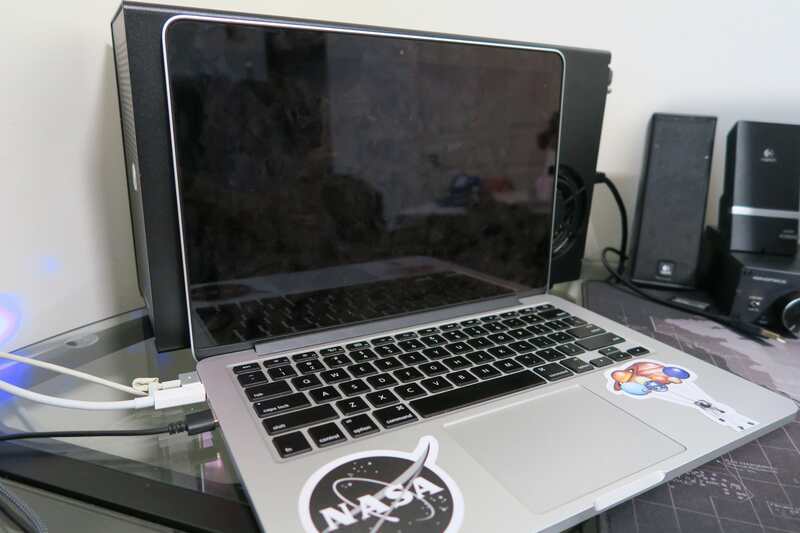 Early 2015 MacBook Pro 13"
Using the Apple TB3 to TB2 adapter, same as yours. I was able to do everything you did up until step 4. I hot plug the eGPU at the same time you do, and it looks like the gpu is detected, because I see the "basic display adapter". The problem is I can't update the drivers. I get "windows ran into an issue while trying to install driver software for your device". In that error prompt you can see a little image titled "Nvidia Geforce 1070". I tried disabling driver signature enforcement, which I was able to do, but I get the same error message. So then I just go to nvidia support and download the latest drivers for that GPU, when trying to install that I get a compatibility error. It's like the first step of the installation, it says something like "this driver is not compatible with this version of Windows.". So what I'm trying now is running windows update. Not sure if that is the right move or not. For me, I didn't install the driver using Nvidia experience. To go about installing the driver try right clicking on basic display adapter and click check for update and let it load. 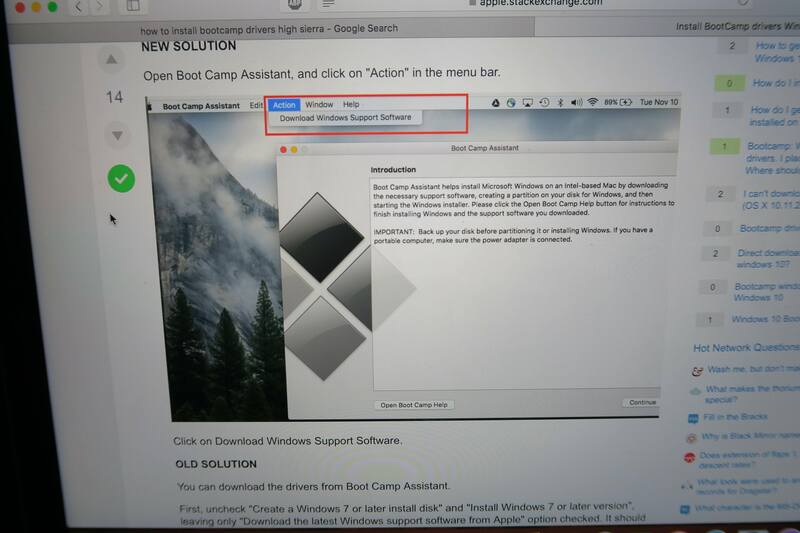 This will install the drivers and will prompt you to restart your computer. 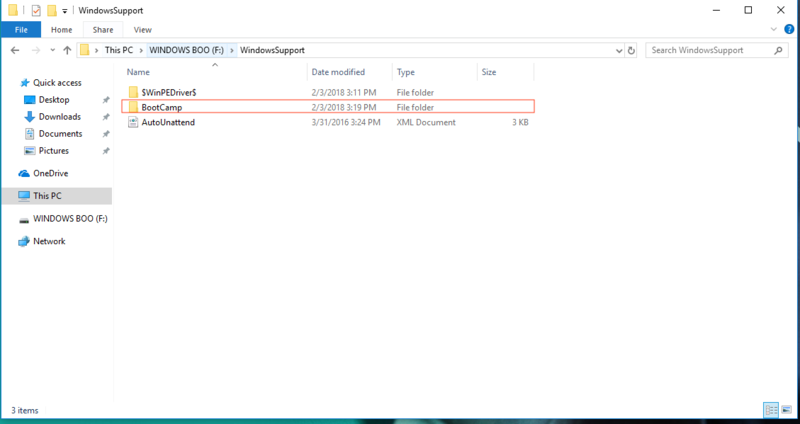 You can then update your driver using Nvidia experience after downloading from device manage. Yeah, that's actually what I tried first. That process is when I run into the "windows encountered a problem when installing the driver software for your device". Thats when I tried disabling device driver signing, but that did not resolve anything. - from there I re-boot the machine and hot-plug the eGPU, just as you did in your video. .
- run Device Manager, and I see the two different Microsoft Basic Display Adapter. One has a little sort of warning symbol on it, an "!". This one is the GTX 1070 - the other is the onboard GPU and is labeled the same at this time because no drivers have been installed except the WiFi adapter. - this is the step that for some reason works for you, but not for me. right click or double click the proper display adapter and choose the update driver option that searches the internet for drivers. Here I get the same error message I was getting earlier: "Windows encountered a problem installing the driver software for your device". - I decide to try running through that bootcamp installer that launches on the first time you startup windows. This just installs all those drivers. I let that install, then try installing that driver again - same error message. - I try running windows updates - this takes like 2 hours at least. I come back after fully updating, reboot, hot plug the GPU per your video - freakin' thing is just working now. I ran heaven benchmark, installed some games. It's working amazingly well. It seems like for the 1070 you either can't get the proper driver when trying to update with your method or there is just something stopping it from installing. I don't know Windows well enough to have any idea what the actual problem is. 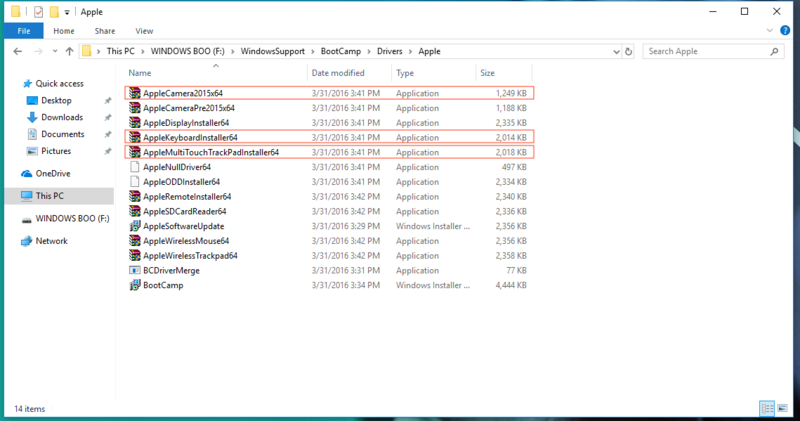 - run the boot camp install prompt that you see on first windows launch. I'm actually going to take notes when I run this same install on an external hard drive, and will post how that goes in a much more detailed fashion. SO, this has stopped working for me ever since installing some Windows updates. 🙁 Will be looking into it.